Light straw to wine colour. Excellent peaty nose, heavy strong punchy mossy peat, combined with smoke whiffs, with sweet vanilla ice cream coming through after a while. On the tongue it’s peppery spicy and a little hot, partly due to the higher ABV. 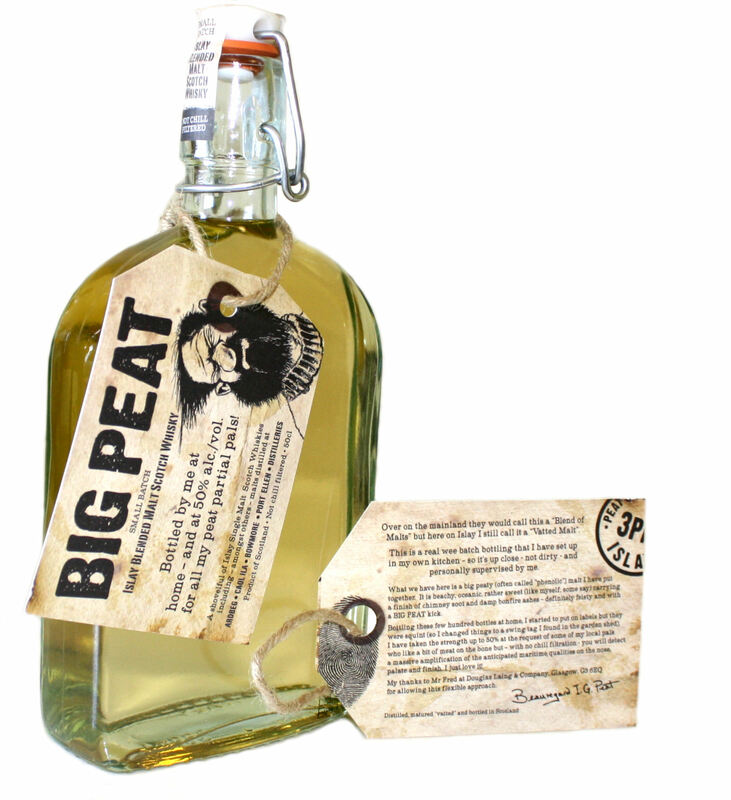 It certainly has Big Peat! iodine notes, and generally in-your-face Kildalton malts, costal and peaty with sweetness at the end. Hotter in the mouth than on the finish indicating younger malts, which often works best for peaty whiskies helping to retain the peat punch and profile. The malts seem perfectly blended, I personally can’t pick out anything too quickly, but Ardbeg certainly pops out with maybe sweeter Bowmore at the end of a long finish. A well priced great peaty blend that offers that little extra punch via ABV that real peat heads may have missed before now. If you’re after a peaty punch then this is worth a look rather than shelling out for a more expensive single malt that may not quite have all the various characters of this. A drop of water take a bit of heat away and brings forward a small touch of wood on the palate. Much the same colour in both drams, both very lightly coloured. The Ltd Edition has a more pungent peaty mossy nose, Christmas 2011 is more restrained (but also been open longer in my bottle so may have faded a touch), but possibly more creamy vanilla with less up front in your face peat and moss, but more earthy fire. On the palate Christmas 2011 is a touch more restrained again, possibly the bottle I have open is beginning to suffer a bit of fatigue as it’s getting lower. It’s definitely not as punchy and up front which from memory is how it always was, however it’s got a good warming and smooth finish… Compared to the Ltd Edition which is more up front with its peat and punchiness, it’s feels younger and not quite as grown up and smooth, it’s younger, hotter and spicier. Christmas Edition 2011 – 57.8% ABV. 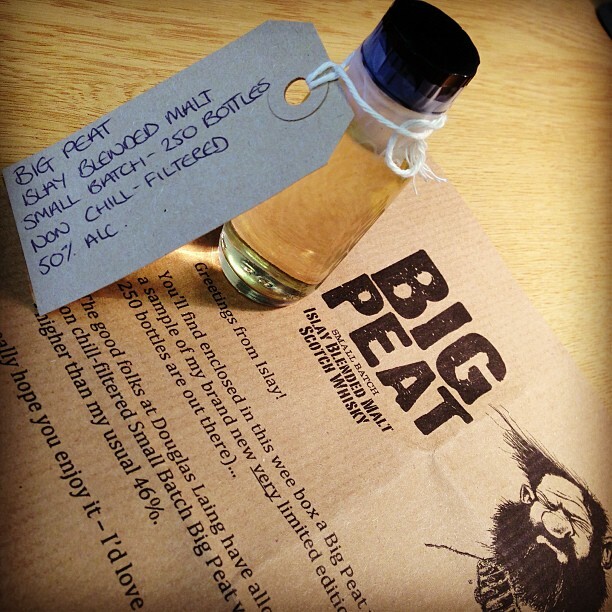 Sample provided by the big man himself, Big Peat. Available exclusively from his web store for £29.99.